France is a remarkable country in many ways, not least of which is the diversity of its wines – a result of its varied climate, soils and grape varieties as well as its long, unbroken experience of growing grapes to make wine. 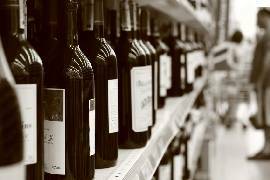 Although England, by comparison, can hardly be considered to be a wine producer of any significance, the sheer variety of wines that are on sale there and in the rest of the United Kingdom is staggering. Wines from all over the world are a common sight on supermarket shelves and in volumes great enough to float a battleship. Whereas 50 years ago it would have been difficult to buy even bottled water never mind wine, today it is possible to buy both without any problem. Wines from New Zealand, South Africa, Chile, Argentina, Italy, Spain, Greece, Bulgaria, Hungary, Germany and Austria are all familiar and that is without even mentioning the all conquering Australia. For those of us who are fortunate enough to live here in France, the choice of wines available from around the world is minute by comparison but the choice and variety of native French wines can be somewhat bewildering to the uninitiated. Part of the reason for this is that the French wine industry is trapped in its own history whereas wines from the ‘new world’ don’t have a history to be trapped in. Here in France there are different grades of wine. Starting on the bottom rung of the ladder we have Vin de Table or table wine that at one time used to be known as Vin Ordinaire. Next up and becoming increasingly popular is Vin de Pays (say pay-ee) or country wine that is subject to stricter controls on yield, minimum alcohol level and other verifiable qualities for closer geographical description. Next on the list come the quality wines produced in a specified region the first of which is Vin Delimite de Qualite Superieure – (VDQS) for short. At the top of the list we have quality wines produced in a specified region but this time referred to as Appellation (d’Origine) Controlee – AC or AOC for short. AC wines are subject to many regulations which vary hugely in their severity and application. Vineyard areas for instance are strictly defined or, in the jargon, delimited, but in some instances a wine from a specific vineyard could qualify for three or even four Appellations of increasing merit depending on its qualities. Many wine producers (vignerons) believe that all these rules and regulations that were originally introduced to prevent fraud, serve only to restrict innovation from vineyard to bottle and are deeply envious of the freedom enjoyed by new world winemakers. Rules and regulations are all very well but they do not necessarily reveal much about taste and style so many newcomers to France simply don’t know what to expect from the wines they see on the shelves. So here goes! First off, France is a big country, five times the size of England I am told and its native inhabitants are highly individual and fiercely parochial. It follows then that the wines produced here (and the cheeses for that matter) will possess the same qualities. The French discovered centuries ago that certain grape varieties perform better in some regions than in others and that is the first step on the road to understanding what we might expect from a bottle of wine. The next step is to determine which grape varieties predominate in which region and what the finished product might taste like. The most famous sparkling wine in the world is made mainly from the black Pinot Noir, the black Pinot Meunier and the white Chardonnay. Champagne comes in various styles ranging from the ultra dry Extra Brut which contains only a tiny amount of sugar to the luscious Sweet which contains over 50g of sugar per litre. The term Blanc de Blancs that you may see on the label means a white wine made from white grapes and refers to a Champagne made entirely from Chardonnay which is likely to be lighter in style and more delicate than other styles. Similarly, the term Blanc de Noirs means a white wine made from black grapes and refers to a Champagne made from the Pinot Noir and/or the Pinot Meunier only and is likely to be richer and fuller in style. Pink Champagne is made from a blend of wines from both black and white grapes. The longest river in France, over 960 km long, is host to vineyards that produce an enormous range of red, white and rose wines, both still and sparkling. Four important wine districts lie along its banks and taken in order, upstream from the mouth of the river they are the Nantais, Anjou, Touraine and Central Vineyards each of which has sub-districts. The most famous wine of this area is Muscadet, a dry white that is made exclusively from the grape of the same name. It is justifiably popular as a wine that goes superbly with fish dishes and seafood generally. It is also excellent as an aperitif. Within the general AC area there are two sub-districts of better quality – Muscadet de Sevre et Maine (the best in my opinion) and Muscadet des Coteaux de la Loire. These wines that are matured on their lees (sediment) although a little more expensive, are well worth the few cents extra. You can recognise them from the label which will carry the two words Sur Lie in addition to all the other information. The reason Anjou and Saumur are linked is that the Appellation Anjou covers quite a large area that includes Saumur. White wines are made to a large extent from the Chenin Blanc and to a lesser extent from the Chardonnay and Sauvignon Blanc. The Appellation also includes red wines from the Cabernet Franc and the Cabernet Sauvignon. AC Rose d’Anjou is a medium dry rosé made from the same grapes as the red wines but with the addition of Gamay and others. A similar but sweeter rosé wine that is made solely from the Cabernet Sauvignon grape is entitled to its own appellation – Cabernet d’Anjou Rose. Similarly, red and white wines from Saumur are entitled to AC Saumur. The best red wines from the Anjou-Saumur region are made from the Cabernet Franc near to the village of Champigny and are labelled Saumur Champigny. Most of the white wines of the Saumur district are made into sparkling wine. A huge vineyard area which, when I last checked covered some 48,000 hectares and produced around 9 million hectolitres of wine annually most, it has to be said, of fairly ordinary standard. Touraine does though produce some wines which demand respect, even internationally. AC Bourgeuil, AC St Nicholas de Bougeuil and AC Chinon are all made exclusively from the Cabernet Franc. All three are good but AC Chinon is a little less heavy in style and has a subtle perfume of violets – a real treat. AC Touraine itself produces a whole range of wines – red, white, pink and sparkling from a range of grape varieties. Those worth looking out for include Gamay de Touraine and Sauvignon de Touraine. This is the spiritual home of the Sauvignon Blanc grape and the wines made from it complement fish and seafood superbly. The Appellations, running from east to west are: AC Pouilly- Fume also known as AC Blanc Fume de Pouilly, AC Sancerre, AC Menetou Salon, AC Quincy and AC Reuilly. All are made from the Sauvignon Blanc and have been described as slightly smoky, spicy and green, with an aroma of gun flint. They are all white, they are all dry and they are all well worth trying. The Rhine and Germany form the boundary on the eastern side of this long, narrow vineyard area and the Vosges mountains shelter it from the westerly weather systems. As Alsace has changed hands between France and Germany a number of times, it is hardly surprising that there is a strong German influence. The wines of Alsace, although by no means as well known as wines from other areas of France are, nonetheless, seriously good. Six noble grape varieties are grown in the region and, unusually for France, their names are important, as the wines that are produced from them are marketed by the name of the grape variety rather than the vineyard or commune. The six varieties then are as follows: Riesling ( say rees-ling), Gewurztraminer, Muscat, Pinot Gris, Pinot Blanc and Sylvaner. The Sylvaner, being the least good of the six is good for swigging, conversation and aperitifs. The Pinot Blanc is dry, well balanced and pleasingly acidic – serve it whenever a dry white is called for. Riesling is good with hors d’oeuvres, oysters and fish. The Pinot Gris is full bodied but dry and distinctively flavoured – once tasted and you’ll buy it again. Gewurztraminer is similar to Pinot Gris but with a more pronounced bouquet of spices and tropical fruit. Muscat is light and dry with that distinctive Muscat fruity flavour. Ah, Burgundy! In simple terms the region includes Chablis to the north-west, then comes Burgundy itself with Beaujolais tagged on to the southern end. Chablis produces dry white wines from the Chardonnay grape. They are pale in colour, steely on the nose and have great finesse. Top of the tree is Chablis Grand Cru after which come the Chablis Premiers Crus and finally AC Chablis. You will also come across AC Petit Chablis that comes from outlying districts and whilst it is sound and drinkable, it is not up to the same standard as the others. Coming slightly south-east, the rest of Burgundy begins with the Cote de Nuits and the Cote de Beaune which just to confuse you, are collectively known as the Cote d’Or. Some of the finest wines in the world are produced here. For these wonderful wines only the Pinot Noir and the Chardonnay grape varieties may be grown. The Cote de Nuits, the most northerly area, produces red wines of great fullness, generosity and aroma whereas the Cote de Beaune to the south produces soft red wines and amazingly, full, fruity white wines. It comes as no surprise then, to learn that all the red grand crus but one are located in the Cote de Nuits and all the white grand crus bar one are in the Cote de Beaune. Sadly, for most of us, this is all rather academic as grand cru prices are beyond the range of most peoples’ pocket. Having said that, they are worth saving up for so that once in a while you can remind yourself what truly great wine tastes like. Further south still, the Cote Chalonnaise produces both red and white wines from the Pinot Noir and the Chardonnay respectively, all of which are good and worth trying. Immediately south of the Cote Chalonnaise lies the Maconnais which produces a great deal of rather ordinary red wine in the north and some really good white wine in the south. Finally we come to Beaujolais where things are so different, it is difficult to understand why it was ever included in the Burgundy region. Here, the Gamay is the only grape which is permitted for these red wines. Ten villages which are known as Beaujolais Crus, have their own ACs and these are Beaujolais at their best, full and fruity, versatile and eminently drinkable. It is worth noting that good as they are, these wines from Beaujolais are best drunk when they are young although Beaujolais Crus from a good year may benefit from two or three years in a good cellar. The general AC stretches from Lyon in the north to Avignon in the south with a classic north/south divide. Whereas in the north, wines are generally made from one grape variety or just occasionally, two, in the south, as many as half a dozen or even more, are routinely blended. In the north, names to look out for include AC Côte Rôtie (red), AC Condrieu (dry white), AC St Joseph (mainly red), AC Cornas (red), AC Hermitage (red and white). It is worth noting that the red wines of the north will need a good few years of age on them before they are really ready for drinking. Their prices too, can be somewhat startling. In the southern part of the Rhône where the valley is wider and the climate more Mediterranean, AC Côtes du Rhône reigns supreme. Top of the tree but still affordable are the villages that are allowed to add their name to the title. There are I think 17 in all, too many to list here but all good and intriguingly spicy. Finally, halfway between the town of Orange and Avignon lie the vineyards of the legendary AC Chateauneuf-du-Pape, the best known wine of the Rhône – full bodied but soft and spicy – wonderful stuff, if a little expensive. The wines of Provence, mainly red, are similar in many ways to those produced in the southern Rhône valley. White and rose wines are also produced. Down here in the bottom right hand corner of France, there are eight or so AC Districts which produce good, drinkable wines. Points worth noting: AC Cotes de Provence is a very swiggable but surprisingly expensive rosé wine. The red and white wines of AC Cotes de Luberon are excellent value for money. A vast area that produces, with some exceptions, vast quantities of fairly ordinary wines. The region extends from the Cevennes mountains in the north to the Pyrenees in the south and from the Mediterranean shores as far inland as Toulouse. Around 90% of the production is red produced from high yielding grape varieties such as Carignan, Grenache and Cinsault. There are though, a number of Vins de Pays and AC wines including Côtes du Roussillon, Fitou, Minervois and Saint-Chinian for reds and white wine appellations Clairette du Languedoc and Clairette de Bellegarde. Watch out too for AC Blanquette de Limoux, a reasonably priced sparkling white wine which is delightfully refreshing and goes down a treat on a summer evening. This is an area dominated by Bordeaux the city, which in turn gives its name to the wine region. There are two main rivers in this region and they both flow roughly from south-east to north-west. The river that is nearest to the Atlantic coast is the Garonne whilst the other one is the Dordogne. A few miles north of the city of Bordeaux, the two rivers join to form a broad estuary that is then known as the Gironde. The wedge of land between the Garonne and the Dordogne is known as Entre-Deux-Mers. That, at least is the geography. The Bordeaux region is home to more than 200,000 acres of Appellation Controlee vineyards. The regional appellations are simply Bordeaux (rouge or blanc) and Bordeaux Superieur, both of which are intended for consumption within two or three years of the vintage. The remaining ACs are either the name of the district of origin, for example, Haut Médoc, Graves, Entre-Deux-Mers or St Emilion (the next step up the ladder) or the name of designated communes such as Pauillac, St Julien or Margaux (the next step after that). To the uninitiated, the Bordeaux region, where wines are concerned, is extremely confusing and complicated. However, we can see immediately from the above that there is a natural progression of sorts which will be reflected both in quality and price. Over and above all that, just to confuse matters further, around 200 of the best vineyards from the Médoc, Graves, Saint-Emilion and Sauternes have been classified and consequently are known as crus classes or classed growths and they include most of the finest vineyards of Bordeaux. These classed growths have their own ranking system, the very peak being 1st growth or 1er cru classe followed by 2eme cru classe, 3eme cru classe, 4eme cru classe and 5eme cru classe. Additionally, there are over 100 crus bourgeois in the Medoc. Flummoxed? Well, you won’t be the first. And there’s more! There are a number of lesser properties right across the Bordeaux region that are referred to as petits chateaux and whose wines are labelled with the name of a specific chateau. What is more, the fact that a wine is chateau bottled and bears a chateau name is no guarantee of quality. We Brits are inclined to think of Bordeaux wines in terms of red only and fair enough, 75% of the production is red but in terms of total production, the remaining 25%, most of which is white, is not an insignificant amount. Most of the dry white wines are at best, ordinary but the lusciously sweet whites of Sauternes and Barsac are well worth saving up for. I do hope that this introductory article, an aperitif so to speak, has been of some help in providing an overall picture of the wines produced here in France. I am also aware, believe me, that the subject is huge and virtually impossible to cover without writing volumes. So, if it has served only to confuse you further, my apologies but do not despair, all will be fully revealed in future articles. David, a writer and lecturer in wine, holds a diploma from the Wine & Spirit Education Trust and until he retired and moved to France, was a member of both the Circle of Wine Writers and FIJEV (Federation Internationale des Journalistes et Ecrivains des Vins et Spirtueux).